Governor Rao (R) asserted Maharashtra will become the first trillion dollar economy state by 2025. Maharashtra has received $13.5 billion Foreign Direct Investment (FDI) this financial year, state Governor Ch Vidyasagar Rao said in Mumbai on Saturday. Governor Rao was addressing a gathering at the Shivaji Park after reviewing a parade to mark the 70th Republic Day. “Maharashtra has received 30 per cent of the FDI which came to India. The state received $13.5 billion FDI this financial year. I am sure, Maharashtra will become the first trillion dollar economy state by 2025. The government is also committed to further improving the ease of doing business in the state,” he said. 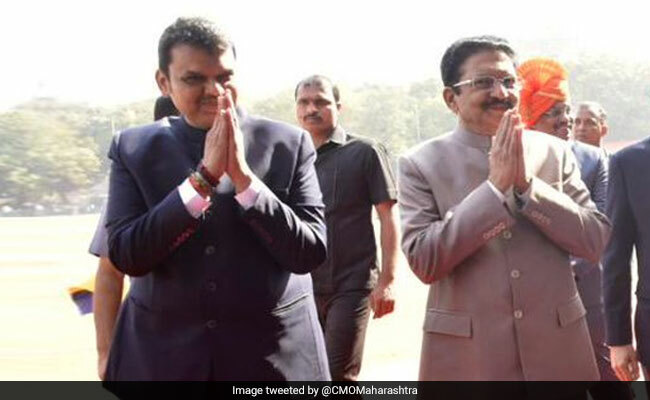 Asserting that the state was committed to double the farmers income by 2022, he said around 41 lakh farmers have benefited from the government’s Chhatrapati Shivaji Maharaj Shetkari Sanman Yojana, a farm loan waiver scheme. “With a view to provide weather-related information to farmers in real time, project Mahavedh has been made operational in all 2,060 revenue circles in the state,” he said. He added that the government has also launched the ‘Maha Agritech’ programme to solve the agrarian problems with the help of satellites and drones. According to him, Maharashtra was leading in the implementation of the ‘Pradhan Mantri Crop Insurance Scheme’ and the ‘Restructured Weather Based Fruit Crop Insurance Scheme’. More than 52 lakh farmers have received compensation of Rs. 2,700 crore under the Pradhan Mantri Crop Insurance Scheme, he said. Likewise, more than one lakh farmers have received compensation of Rs. 565 crore under the Restructured Weather Based Fruit Crop Insurance Scheme, Governor Rao added. The governor said for speedy development of Maharashtra, a provision of Rs. 22,122 crore has been made under the Special Measures Programme- 2018, of which Rs. 13,422 crore will be spent on 89 irrigation projects. Under the ‘Jalyukta Shivar Yojana’, more than 15,000 villages across the state have become water neutral. Over five lakh works have been completed, which has created water storage capacity of 24.36 lakh TCM, he said. Under the ‘Galmukt dharan ani galyukt shivar’ (silt-free dams and fertile farms) scheme, 3.23 crore cubic metres of silt has been removed from 5,270 reservoirs, which benefited as many as 31,150 farmers, he said. The ‘Farm Pond on Demand’ scheme has received the Prime Minister’s award as one of the 10 best innovative initiatives, he said, adding that nearly 1.37 lakh farm ponds have been created under the scheme. He said the government has passed the Socially and Educationally Backward Class Reservation Bill and that this will provide for quota in educational institutions and posts for appointments in public services to citizens from socially and educationally backward classes. “This will definitely help Maratha youths for their advancements in education and employment,” he said. He added that the ‘Dr APJ Abdul Kalam Amrut Ahaar Yojana’ is being implemented in tribal areas to tackle the problem of malnutrition and anaemia and 1.59 lakh pregnant women and lactating mothers. To achieve the goal of ‘Affordable Housing for All by 2022’, more than 10 lakh 50 thousand beneficiaries have been registered under the Pradhan Mantri Awas Yojana (Rural) and 3 lakh houses have been completed, he said. The governor said renewal of 10,500 kms of roads under the annuity model has been approved and work on 8,000 kms has commenced. “Further, nearly 30,000 kms of rural roads are being upgraded in rural areas under the Chief Minister Gram Sadak Yojana. Nearly 6,000 kms of rural roads have been completed,” he said.